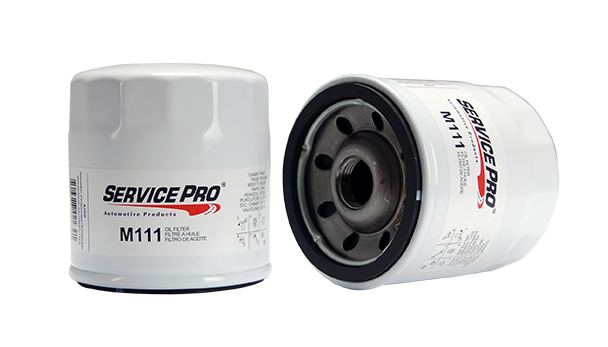 A few months ago AIOD (Association of Independent Oil Distributors), the buying group that owns Service Pro® filters and lubricants, decided that they wanted to start utilizing barcode technology on each unit. The problem was that with the old method of screen printing graphics on the painted canister couldn’t achieve the fine level of detail required to print a barcode. 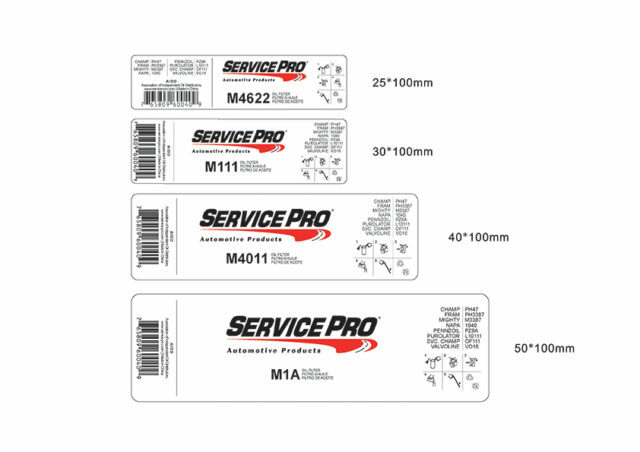 To solve this problem I had to design a label that included all of the information previously shown, plus the barcode. Coming up with a configuration that would include all of that information was tricky for the smallest two sizes of labels required by the smaller canisters, but I was able to make it work – as you can see on the M4622. I’m also showing the samples we just received from the factory, which includes an update to the color of the paint. I’ll be posting a before/after comparison soon.